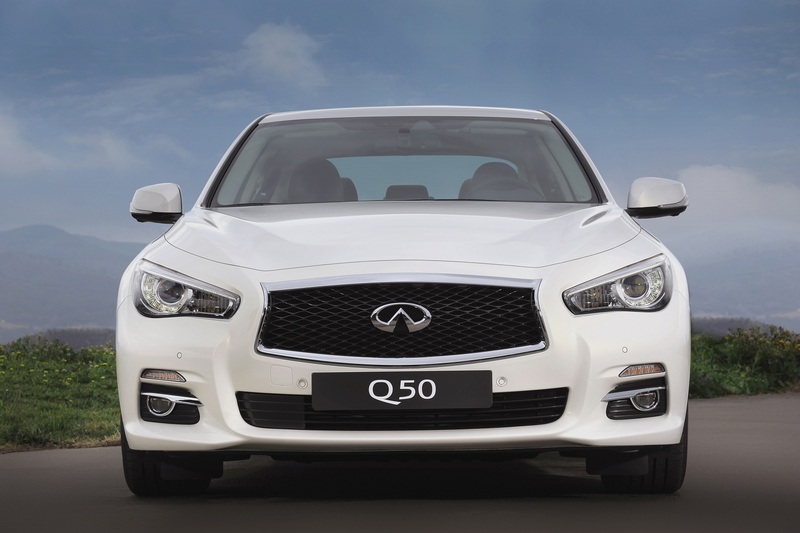 The Q50 is the first car from Infiniti that uses the new Q naming structure and wants to be a serious rival for to all the other top level cars in the premium D-segment. 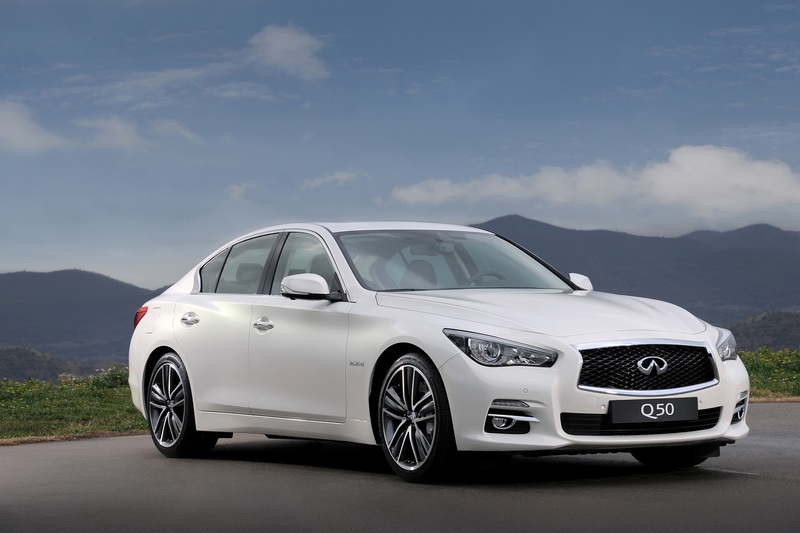 To help achieve that Infiniti made a collaboration agreement with Daimler AG in which the German company would supply the engines to the Japanese company (Infiniti is Nissan's luxury vehicle division). 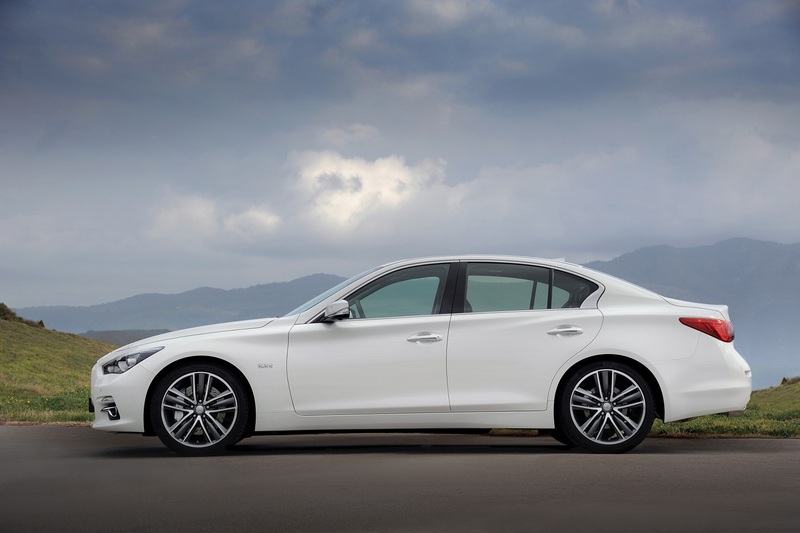 The entry-level Q50 has a 2.2 liter direct-injection four-cylinder turbocharged diesel engine producing 170hp (125kW) and 400Nm (295lb/ft) connected to a six-speed manual or a seven-speed automatic gearbox. 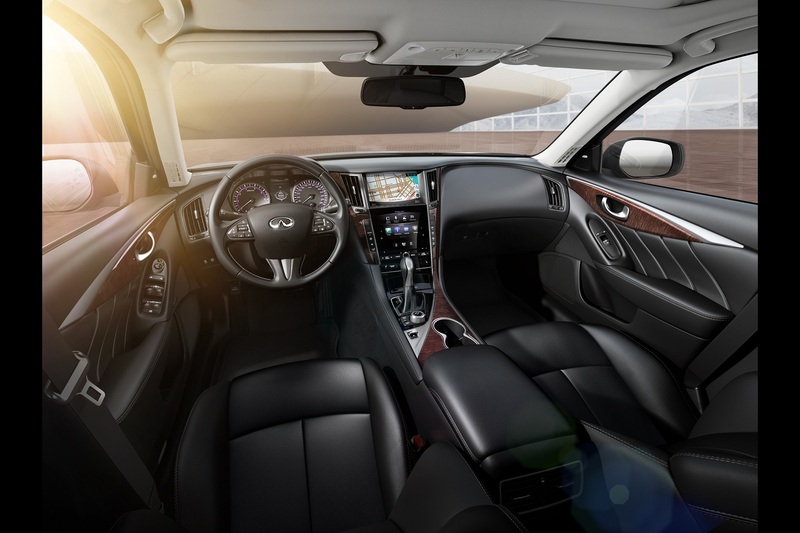 The rear-wheel drive car emits an estimated 112g/km of CO2 while the average fuel consumption sits at just 4.4l/100km (53.5mpg USA or 64.2mpg UK). 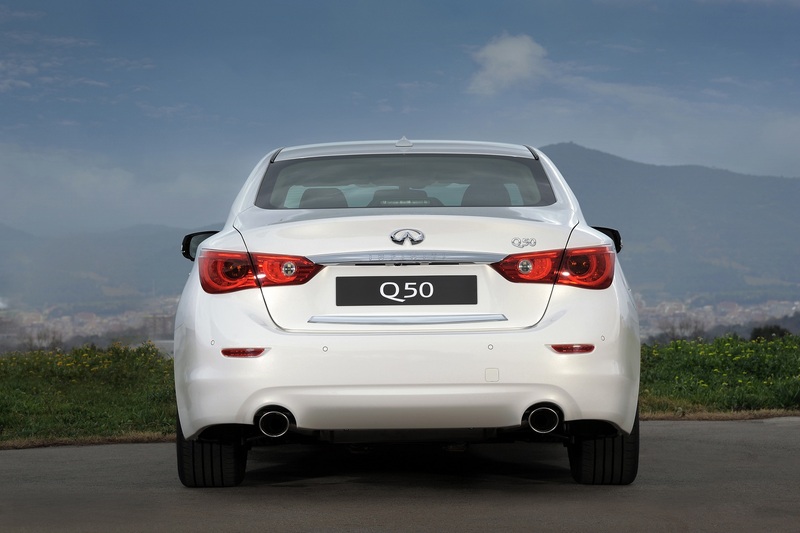 The top speed of 230km/h (143mph) and the 0 to 100km/h (62mph) time of under 9 seconds means this wont be a slow car. 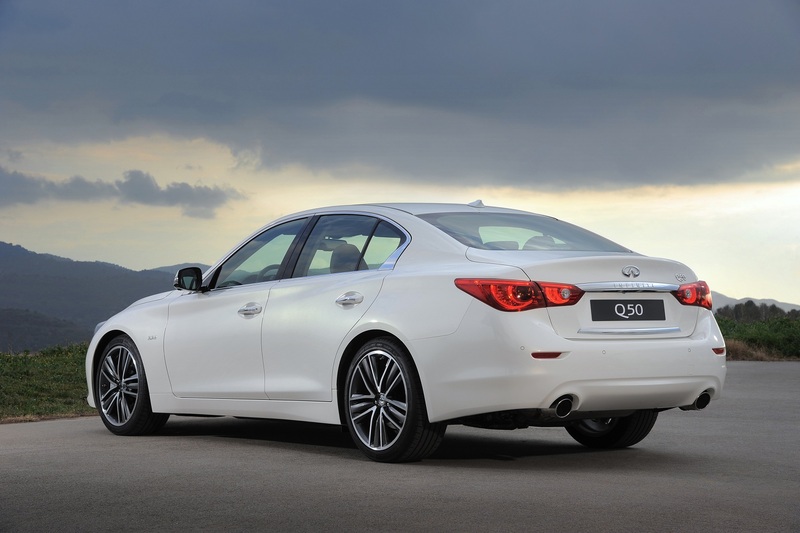 The other choice available is the Q50 3.5 Hybrid. It uses a 3498cc petrol engine with 302hp (225kW) and 350Nm (258lb/ft), and a 50kW (67hp) electric motor for a combined power output of 364hp (268kW). With this combination you can only have the seven-speed automatic gearbox but you will be able to choose if you it to be all-wheel drive or just rear-wheel drive. Top speed is limited to 250km/h (155mph) while the 0 to 100km/h (62mph) run is done in under 5.5 seconds. The low value of 6.2l/100km (37.9mpg USA or 45.6mpg UK) combined fuel consumption and the also low CO2 emissions of 145g/km are achieved thanks to the hybrid system. Besides the engines there are other things worth mentioning. 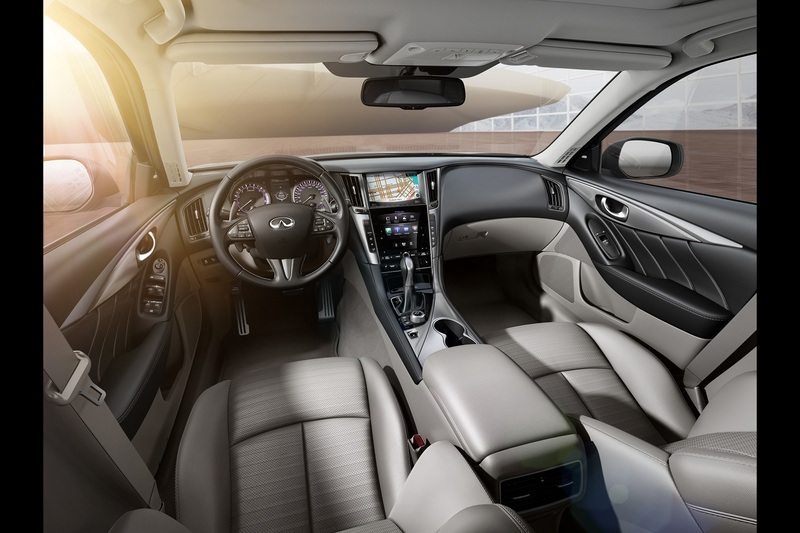 It will be one of the first cars ever to use a driver-selectable steering weight and gearing with the world-first Direct Adaptive Steering, dual touch-screens for totally intuitive control and new comfortable seat designed with spinal support inspired by zero gravity research by NASA.